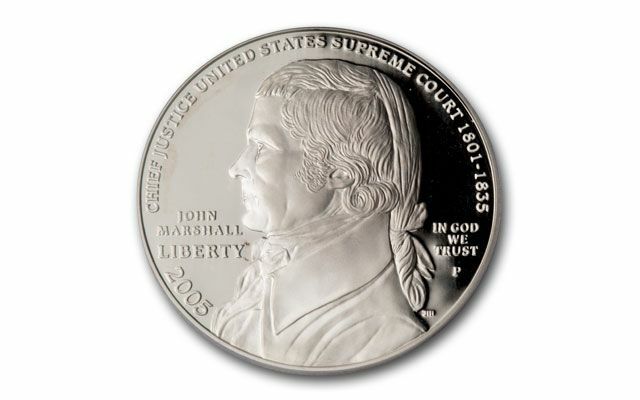 As 4th Chief Justice, John Marshall established the doctrine of Judicial Review, giving the Supreme Court the authority to overturn an Act of Congress. 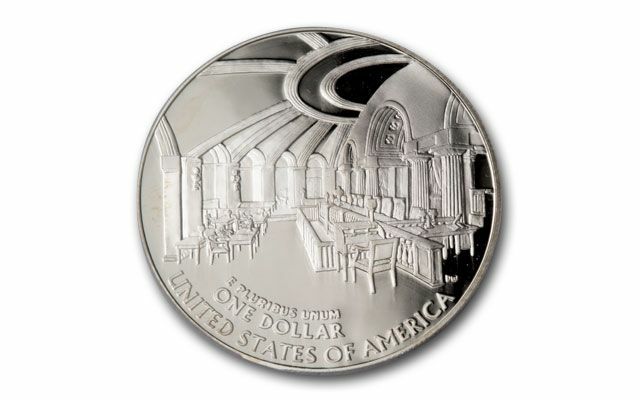 This Silver Dollar celebrates Marshall's 34-year service in the Supreme Court. 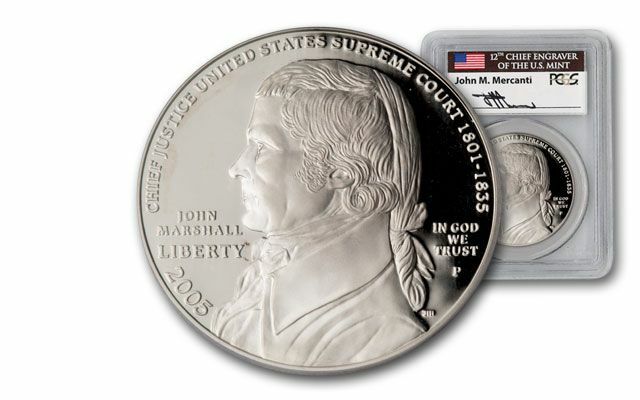 Struck in 26.73 grams of 90% fine silver, the obverse features Mercanti's reproduction of a portrait of John Marshall on the obverse and the Supreme Court on the Reverse. 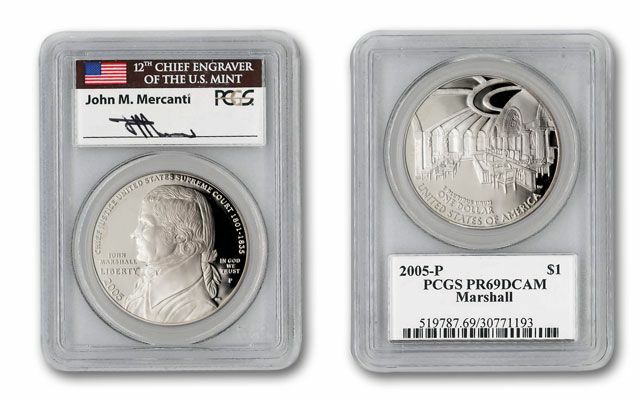 This example grades perfect Proof-69 (PR69) by Professional Coin Grading Service (PCGS). It includes Mr. Mercanti's hand signed autograph on the label, which is sealed with the coin in its protective holder. Order yours now!